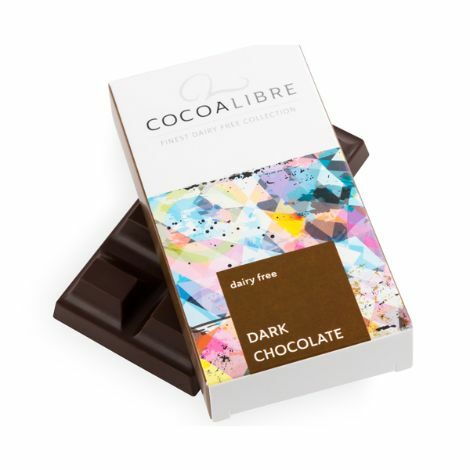 An 8-piece delicious dark chocolate bar, made with rice milk as a creamy alternative to dairy. 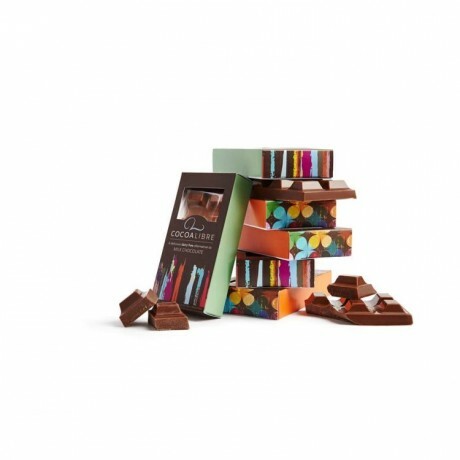 Cocoa mass, sugar, cocoa butter, emulsifier: SOYA LECITHIN, natural vanilla flavouring. Cocoa solids 55% min.